3.) 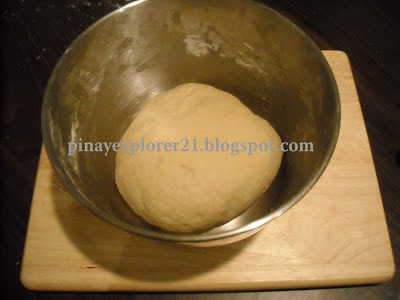 Slowly add the dry ingredients. Add the quick oats and then lastly the chocolate chips. 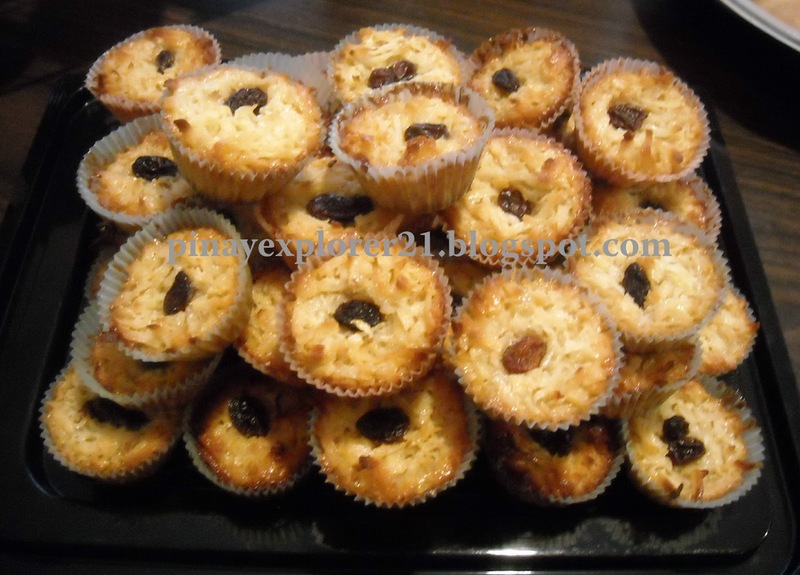 I love coconut macaroons, their like perfect little bite for me! chewy, sweet and tasty! 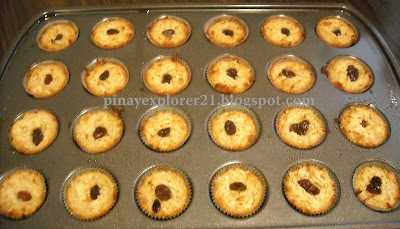 In little town where I grew up, I had this favorite bakeshop, who made mini macaroons with raisin on top. It's so good! So, I made this macaroons with the inspirations from my childhood memory. This is like the macaroons I loved back home. I never started baking and making dessert until I came to United States, Its good feeling that you make someone happy, by making them some sweet treats, and I love doing that. It's good to know that I've learned something every time I made some. When craving strike I can just make it in no time. This macaroon is very simple to make and perfect snack anytime of the day. 2.) 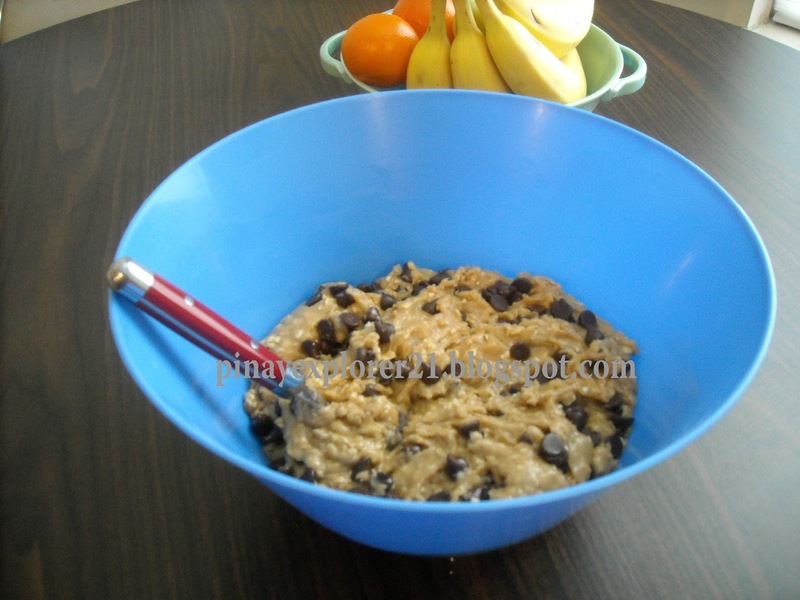 Put spoonful on each cups, Add raisin on top of each cups. 3.) 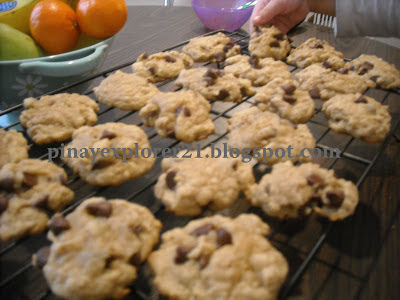 Bake 350 degrees for 15-20 minutes until golden brown on top. ENJOY! I grew up in the Philippines, My family plant Monggo Beans in our little farm in Valencia, Bukidnon.As, I remembered monggo beans are very easy to cultivated. 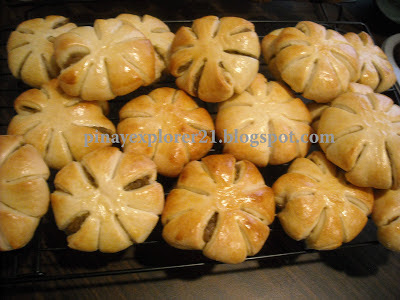 Since then, I remembered Monggo prepared mostly on savory dishes like ginataan, guisado and to my surprised some bakery in my place make monggo bread. My Mom, always have its way to make Monggo, taste so delicious in very simple way mostly on savory dishes accompanied with rice. One of my favorite bread in the Philippines is the Monggo Bread usually in Ensaymada form, So. today why not make it myself. ( wink ) While searching for that right recipe for the Monggo Bread, I stumble upon this video on youtube ( aeriskitchen) on how to make sweet red bean buns and it was so simple and yet look delicious. So, I was like! aha!! 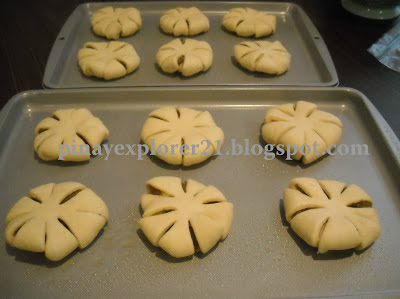 instead of red bean paste put as filling, why not monggo beans because, I love monggo beans and it suits on my taste-bud, I love to mention how (aeriskitchen) made the bread look like flower, its pretty amazing. I was really inspired! I'll show you how simple it is to make this bread and who knows it might be your next favorite snack of the day. My family loved it and hopefully yours too:) wink..
Bring the Monggo Beans and water to boil until it soften and mushy. Let it cool and refrigerate. 6.) 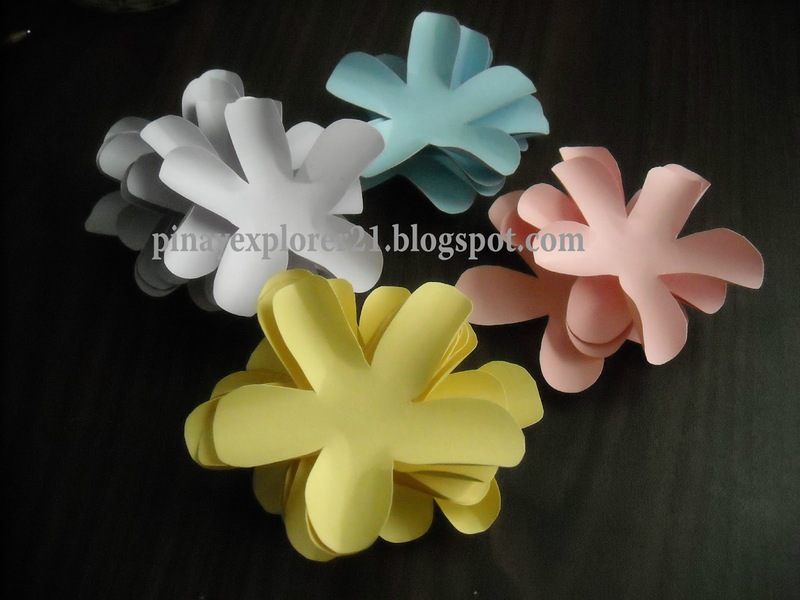 Using scissors cut little bit on the side to make it like flower. Put it on greased baking pan, Let it rise for 30 minutes. 7.) Brush it egg wash, Bake at 350 degrees for 15-20 minutes until its golden brown. There's nothing I would rather do. Than live my life in-love with YOU! 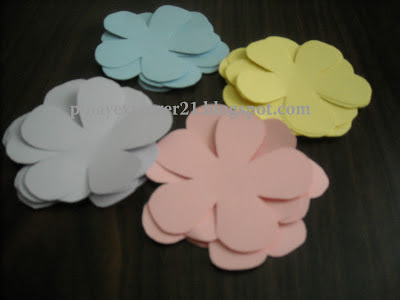 When I hear the word Valentines, The first thing come to mind are flowers and chocolate. I guess everyday should be valentines day right? (hahaha). Everyone of us celebrate Valentines Day in many different ways, It depends on how sweet you want it to be and how romantic its gonna be. I'm very sweet and romantic person. I'd love to show to my husband, kids and family how much they mean to me. 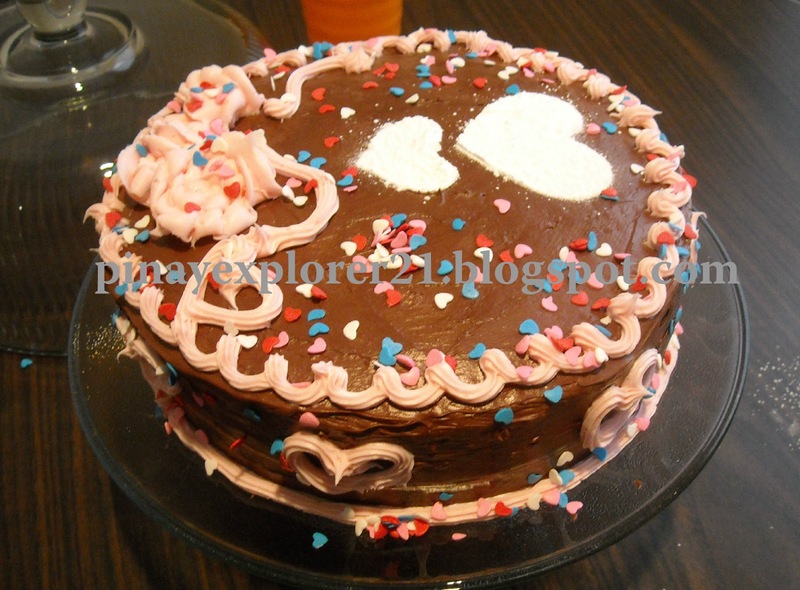 This Valentines Day I want it to be so sweet! So, I decided to bake them a cake! my kids just go crazy with the sprinkles. It was FUN! I also made my kids sweet treat bag, inside the bag are just bake cookies and marshmallow chocolate, And I made my hubby personalized treat box, inside are his favorite heart shape chocolate and love letter. To end our sweet valentines escapade, We ate this delightful chocolate cake! YUMMO! My hubby took me and the kids to the mall to shop. I shopped while hubby and the kids is strolling around the mall. We ate at Yori Japan a food court inside the mall. This is our favorite because they cook the food fresh and its really good. We had Teriyaki Chicken, Rice, Spring Roll and vegetables. It was nice and fun Valentines Day experience for the whole family. 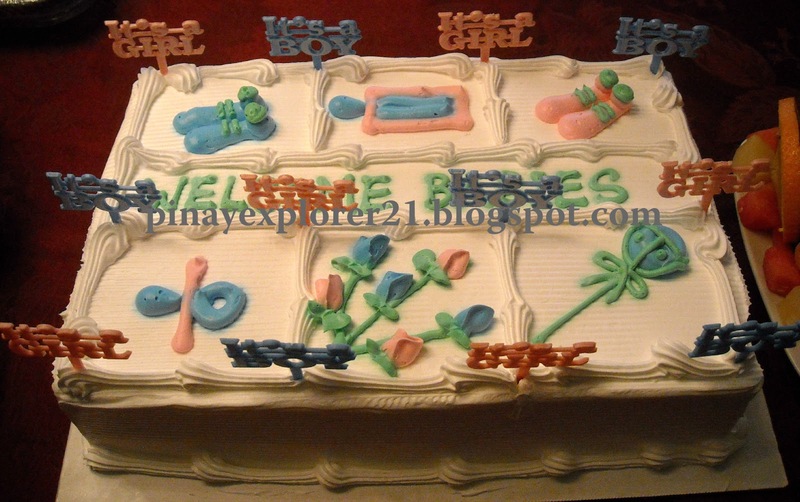 Saturday February 9,2013, A perfect day for baby shower celebration for my friends, Cherry and Rose. The weather is awesome! and everything works out the way I wanted to be. I got a lots of helped from my dear friends, making the baby shower memorable for mommies to- be. It just so heart warming experience for me and for everyone in the party. We had so much fun!As part of the preparation I made all the bread and sweet treat, a day ahead since I didn't any off during weekdays, but it work out really well!. By 9am at Saturday I already done cooking, and I still have time to paint my nails ( hahaha ). I'll show you guys photo captured for baby shower I had last Saturday. 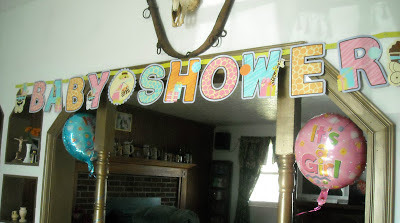 Mj and Larissa do all the decorations in the shower, while I was making food in the house. I made this Diaper Cake for decoration, and the Paper rose is just perfect addition making the diaper cake look so real. This is our baby shower favors. I put little cute baby pacifier and heart candies into this little baggies and pre- packed it myself. 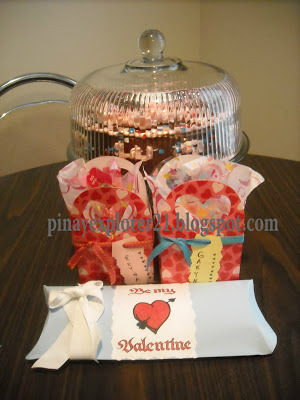 This Homemade Cute Little Boxes is filled with sweet treats for guest to take home. 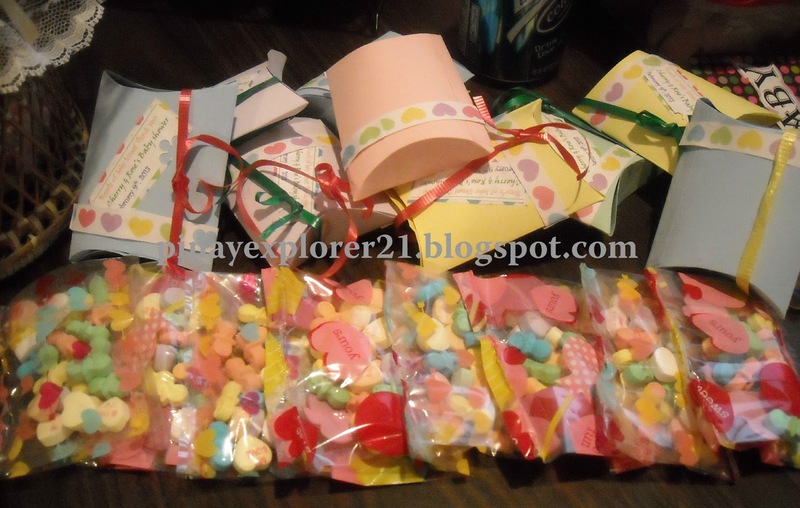 Also, this Homemade Cute Little Bags is perfect treat for guest. Thank you! 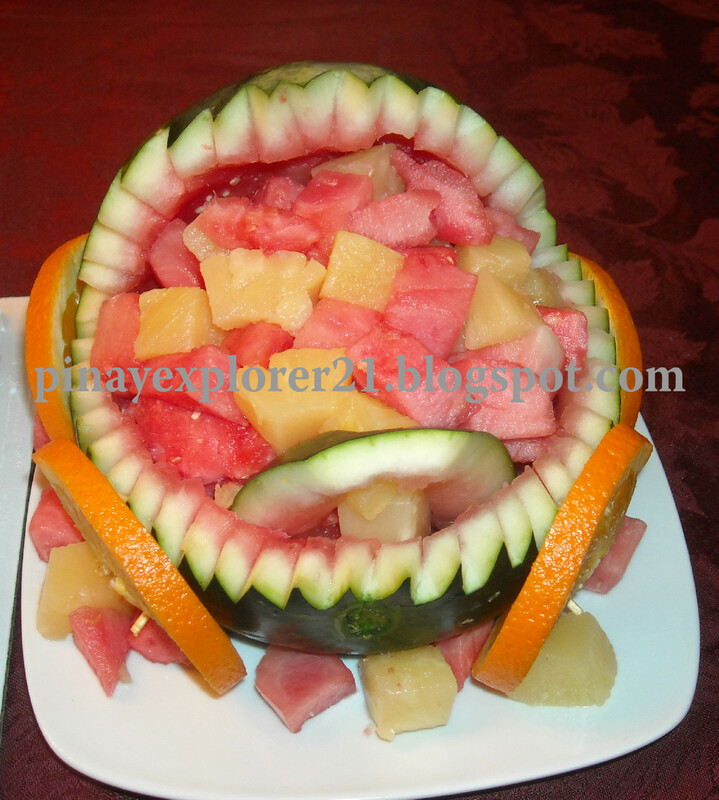 to my friend Larissa brought baby shower cake and baby carriage carved melon. I'm excited to share it with you guys, it just so CUTE! This cake is so light and fluffy and the strawberry filling in the middle just add the perfection to the cake. 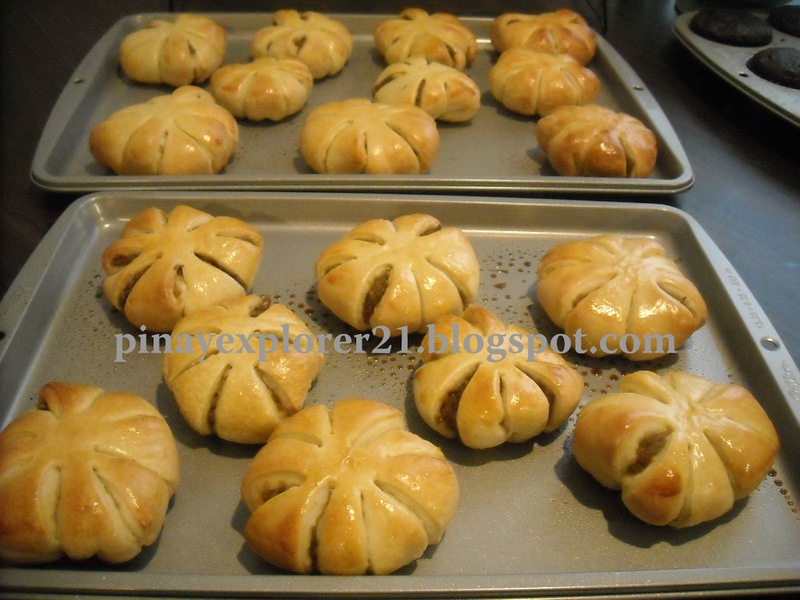 She got it at Golden Delight Bakery ( filipino bakery here in my place ) YUMMO! Larissa carve this melon, first time! and it look so perfect on the table! I would say professionally carved! 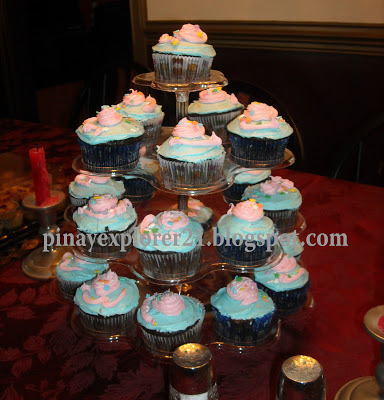 I also made cupcake for the guest to take home, just something add to the cake. Kids love cupcake! 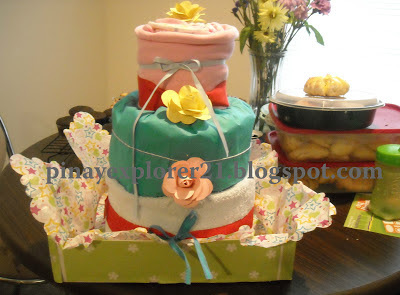 It was so much fun especially the Poopy Diaper Cake, the chocolate on the diaper just look real. Everyone who wins the games received glorious gift sponsored by my friend Mj. Bake spaghetti, Shrimp, Pancit, Lumpia, Adobo, Paksiw na isda, Cassava cake, macaroons, monggo bread, coconut rolls, lechon manok, fruit salad, deviled eggs, pepper chicken, BIko and much more! The Mommies to- be recieved glorious gift and to end the event we had video-k, dance and drink some wine. It was a blast! 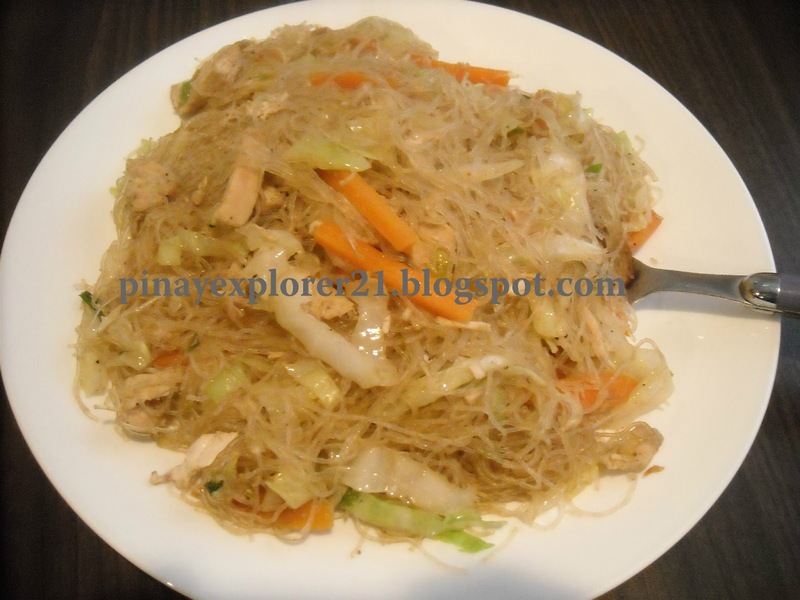 "Pancit or pansit - is the term for noodles in Filipino Cuisine"
Bihon- is very thin rice noodles fried with soy sauce. Pancit Bihon is also one of the most popular dish in the Philippines. Its always ON everyone's table every special occasions. 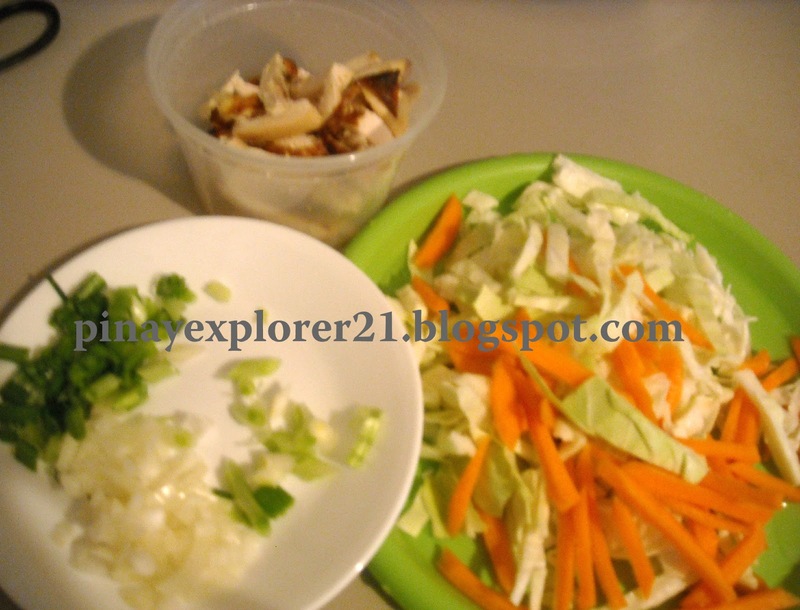 As long as you have the rice noodles, meat of your choice and soy sauce, your good to go, very easy and fast meal!. 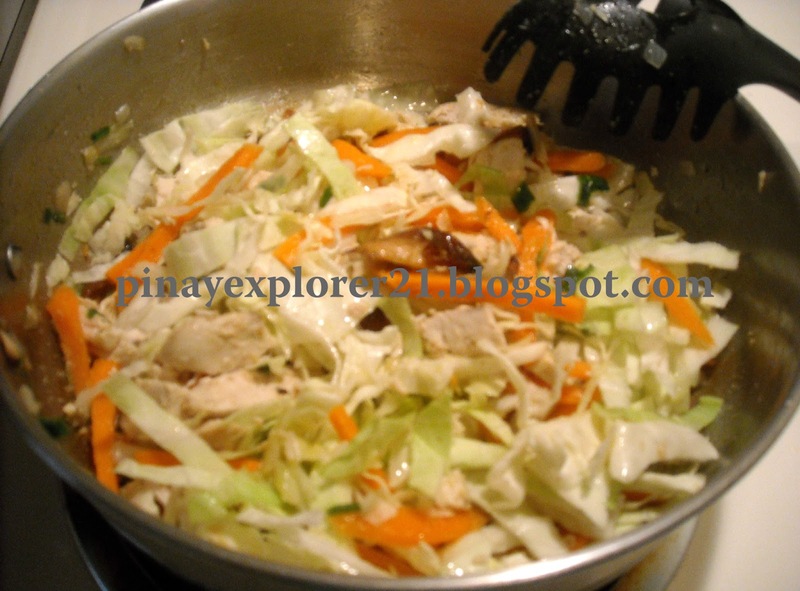 Everyone have different version on how to make their Pancit Bihon. 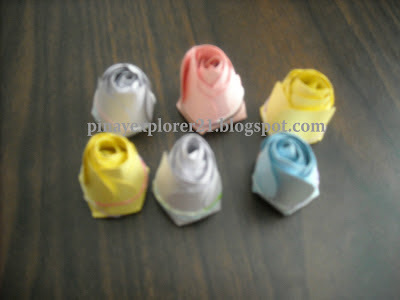 I make mine just like how my Mom made it for us. I've been eating it since I was young, It's always the "BEST" it can go with rice or bread or just itself. I like Pancit Bihon hot over rice with squeezed calamansi..uhhh! 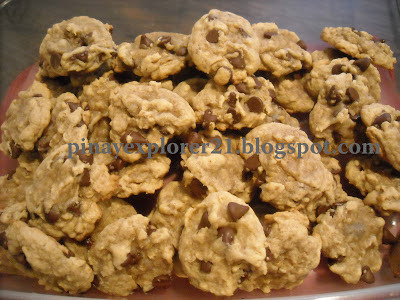 Its just like "Pinas" YUM!! My hubby and kids loved it! It always make smile, watching my kids enjoying Pancit Bihon every time we have it for dinner. I love making it for them everytime they ask for it. :) wink! Calamansi/ lemon- to be squeezed before eating. 1.) Soak the Bihon/ Rice Noodles in water for about 10-12 minutes. 2.) Meanwhile, In large pot saute the garlic and onion. Add the chicken and let it simmer. 3.) Add the vegetables and let it cook for 5-8 minutes. 4.) Add the drain rice noodles/bihon, put some soy sauce. Salt and Pepper to taste. Covered for 3-5 minutes. 5.) Serve it hot! and squeezed some calamansi or lemon on top before eating. Enjoy! I'll be attending baby shower tomorrow. I'm excited! !Have great weekend everyone! 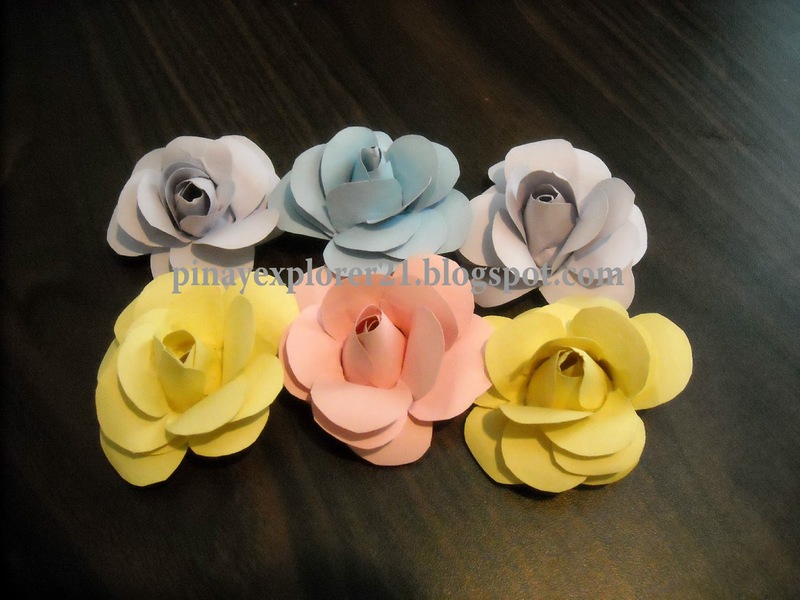 Thank you for dropping by and for all the sweet comments.